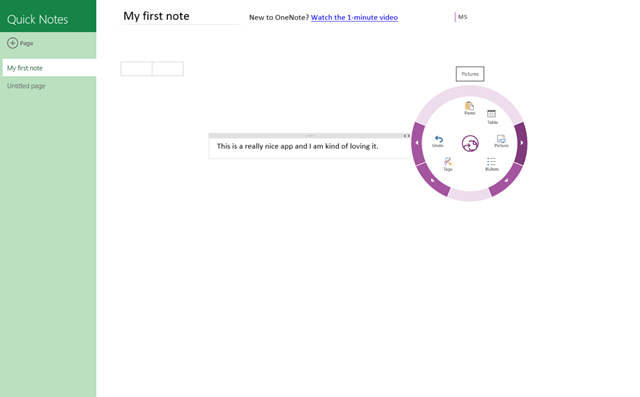 OneNote MX is a free Windows 8 note taking app with the help of which you can take easy notes. 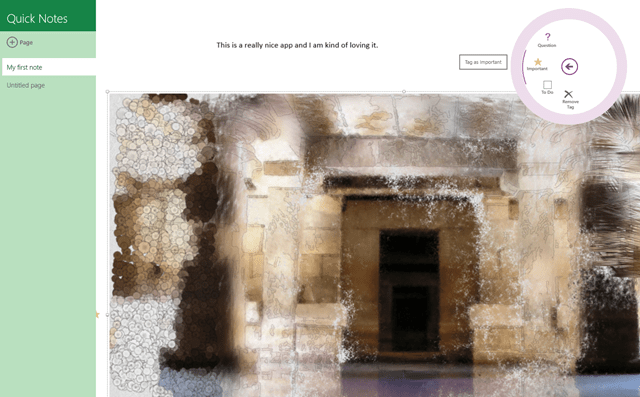 This is a kind of Windows 8 app you will really appreciate if are really into taking notes all the time. This amazing note taking app for Windows 8 helps you fetch all the notes taken up till now on your system, and also lets you add more and more pages you want. You can add notes in a really smart way with no more same old and boring interface. It’s quite a neat and clean Windows 8 notes taking app which you can use on a daily basis. You can simply write your diary entries and can also add any other information on your other notebook with the help of this single app only. You can add a number of notebooks together in this one app and can add any pages or topics to it. You can also add sub sections into your notebook and can have as many pages as you want. 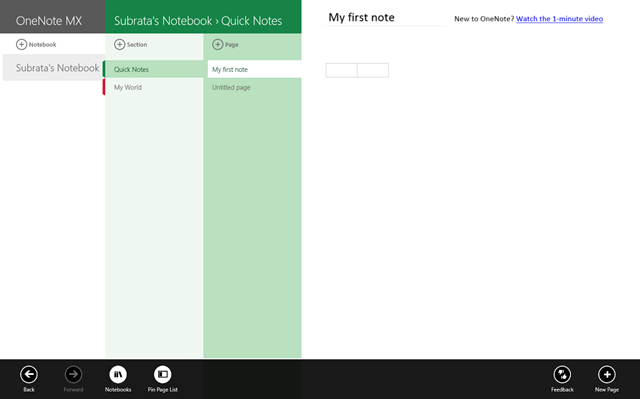 This is how the interface of this Windows 8 note taking app looks like. You can simply add a notebook and its subsection and later you can start working upon it by adding pages to it. You can use the toolbar with a little different style. You can watch that little circle in the corner, it’s the toolbar of this Windows 8 app. You can simply write anywhere you want on the notebook and use the toolbar by clicking on it and you can choose the tools from it lie the picture tool or the text tool etc. You can simply expand the attribute of the toolbar by clicking on it. As you can see over here, that while inserting this picture, you can simply right-click the mouse button over it and then can use the appropriate tools for the picture you want to modify or want to add some extra features to it. You can add these type of amazing things to your notes like this. So, start downloading this amazing little Windows 8 note taking app on your Windows 8 desktop and start taking your notes. Learn how to search an app in Windows 8 store.